Travertine pavers are cut from natural stone and are in the same family as limestone. Natural stone paving materials have a special look and are very different from manmade materials. It is one of the best materials for pool paving and outdoor landscaping. Travertine Pavers have been one of the most used building materials since the beginning of modern times. Over the years, travertine and travertine pavers have been used by professional designers and have been recommended for many home improvement projects. 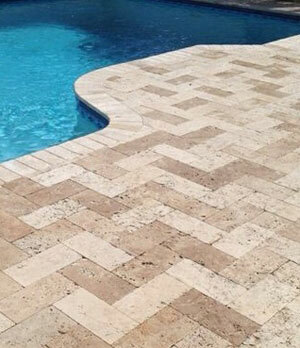 Travertine pavers come in many styles and various colors. Travertine colors are available in a variety of tones of caramel, grey, brown, ivory, red and gold. Natural travertine is also found in shades of rust. The shades of rust can be used in beautiful combinations of yellow, brown, and pink. For those who want more of a concrete appearance, travertine comes in white and beige. The travertine pavers are very durable and last for many years which are one of the best benefits about installing this natural stone. The colors also do not suffer discoloration and retain their luster even after many years of usage. This stone does not show any signs of efflorescence that is visible in concrete and other such substances. The Travertine Pavers are a formation of natural materials that have been created over a long period of time. As a result, the travertine stone has a variety of natural colorations and patterns. 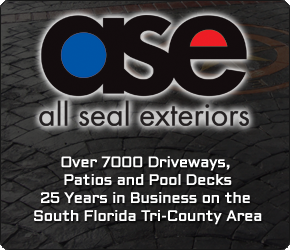 For a Free Estimate on your next Travertine Pool Deck project, please use the contact form on the right side of the page.